For many Sonoma County families, grandparents play an important role in a child’s upbringing. This is especially true when children find themselves caught in the cross-hairs of a contentious divorce. With nearly 40 years of family law experience, attorney Jeffrey Zimmerman knows what it takes to help California grandparents secure visitation rights. When determining whether or not to grant custodial privileges to a child’s grandparents, California judges will examine whether or not the child has a stable and loving relationship with those seeking visitation rights. As is true of traditional custody disputes, your child’s best interests will outweigh any other considerations. Over the course of his nearly four decades of legal service, family law attorney Jeffrey Zimmerman has helped numerous grandparents obtain visitation rights to see their beloved little ones. No matter how difficult your situation may seem, Zimmerman Law Offices has the knowledge and experience to help you move forward in a positive manner. Schedule your initial consultation today to get started. 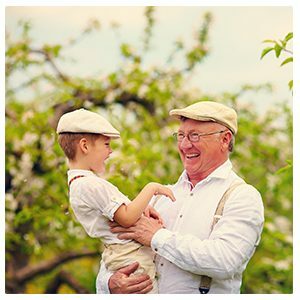 Zimmerman Law Offices proudly accepts custody cases, including those involving grandparents’ rights. To learn more about our services, contact our office today at (707) 763-9525.